Working as a Chief Consultant Psychiatrist since 2016 in Nepal Police Hospital. 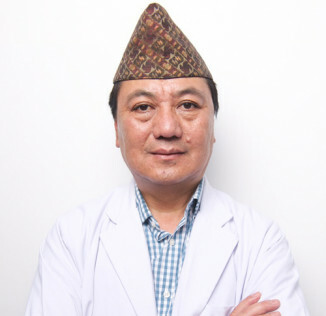 Working as a Senior Consultant Psychiatrist and Head of the Department of Psychiatry in Nepal Police Hospital since 2004. Working as a Consultant Psychiatrist since 1997 in Nepal Police Hospital. Working as a Consultant Psychiatrist in alcohol and drug rehabilitation center since 1997. Diploma in Psychological Medicine (DPM) IPGM&R Dhaka University, Dhaka, Bangladesh in 1996. Training in alcohol and drug dependence. MFR, CSSR, MFRIW, TFI, MIW Courses of PEER Program. Australian Award Fellowship in inclusive disaster management in Nepal.